In life, are there really things such as coincidences and/or chances? Bro. Eli Soriano, host of the longest running television program in Philippine History, Ang Dating Daan, replies no, as a guest from Munoz, Nueva Ecija asks him that question in last Friday’s (March 7) Worldwide Bible Exposition. One of the Ang Dating Daan Mobile Coordinating Centers was stationed in Central Luzon State University for last Friday’s Bible Exposition. 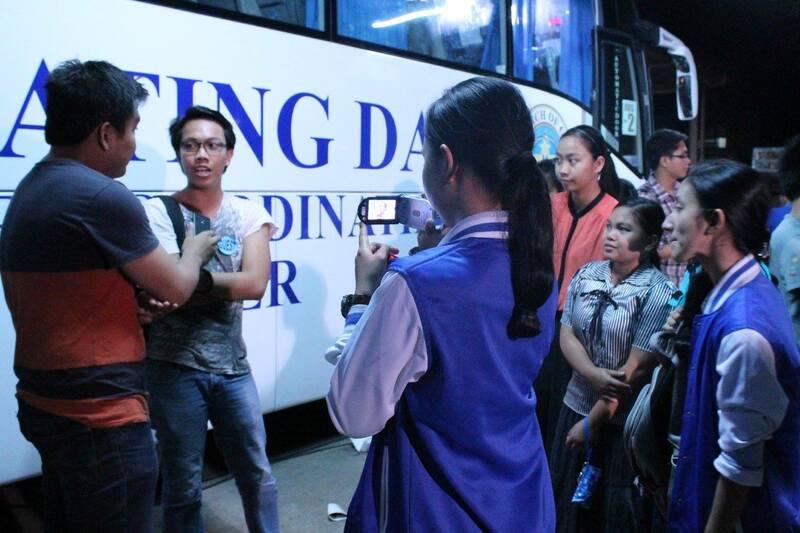 Wilson Concepcion, a graduate student of Central Luzon State University was reviewing for his board exams when he happened to pass by the Ang Dating Daan Mobile Coordinating Center stationed in the campus as he was going home. Having been heard Bro. Eli before and interested with his manner of teaching, he stopped by to listen. As Wilson was given the opportunity to ask a question to Bro. Eli, he recounted his mixed feelings of wanting to be part of the Church yet doubtful of his readiness. He asks Bro. Eli if it was just mere coincidence that he happened to pass by the mobile coordinating center, having been wanting to attend that night’s Bible Exposition but was hindered with his belief that the nearest local was far away. Bro. Eli answered that things that happen to us are not coincidences but work together for the fulfillment of the will of God. For those who love God, things aren’t just trivial chances or coincidences; he cited Romans 8:28. A teary-eyed Bro. Wilson listened to Bro. Eli as the preacher remarked that everything that has happened to him is supportive of God’s cause to call him to serve the Lord. Bro. Eli implored him to attend the Ang Dating Daan Mass Indoctrination, wherein he would hear the true doctrines of Christ, especially now that he is being called into the Church. Also, in his listening will his confusions and doubts be removed, added Bro. Eli. Bro. Wilson Concepcion recounts the events that led to his attendance in the Bible Expo. Indeed, all the things that happened to Bro. Wilson aren’t just coincidences. As what the organizers of the Bible Exposition Campus Tour could testify, the Mobile Coordinating Center was in CLSU for a reason. As what a fellow organizer and blogger once said, it wasn’t just Bro. Wilson who got his question answered back then. The people who are asking for explanations for happenings they don’t understand were also taught to trust in the Lord and acknowledge that all things happen for a reason, and those things that happen are for the good of those who love God. Bro. Wilson is currently attending the Mass Indoctrination being held by the Ang Dating Daan. For inquiries, guests may visit the nearest Ang Dating Daan coordinating centers for more information. The regular monthly Bible Exposition held by the Ang Dating Daan deviated from its usual format, with a debate aired lived in its stead last February 7, Friday. The discussion, which revolved around Christ being the true founder and owner of the Church, was defended by Mr. Eusebio Catarinen, a pastor hailing from the province of Negros. Bro. Eli Soriano, Presiding Minister to Members Church of God International (MCGI) took the opposition. 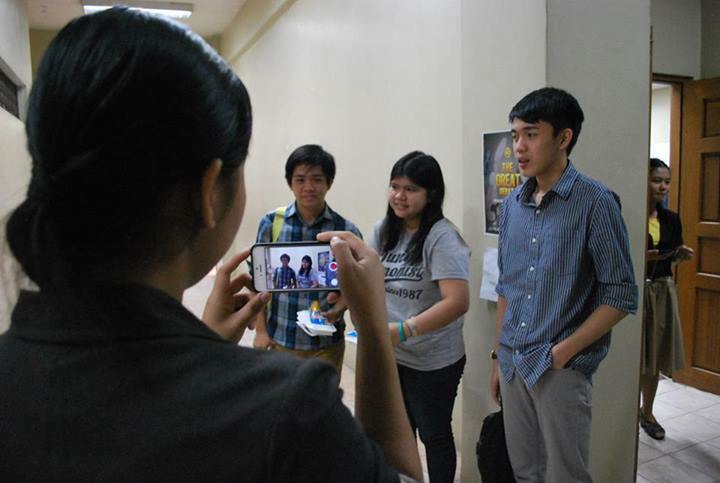 One of this month’s remote points was the Polytechnic University of the Philippines. 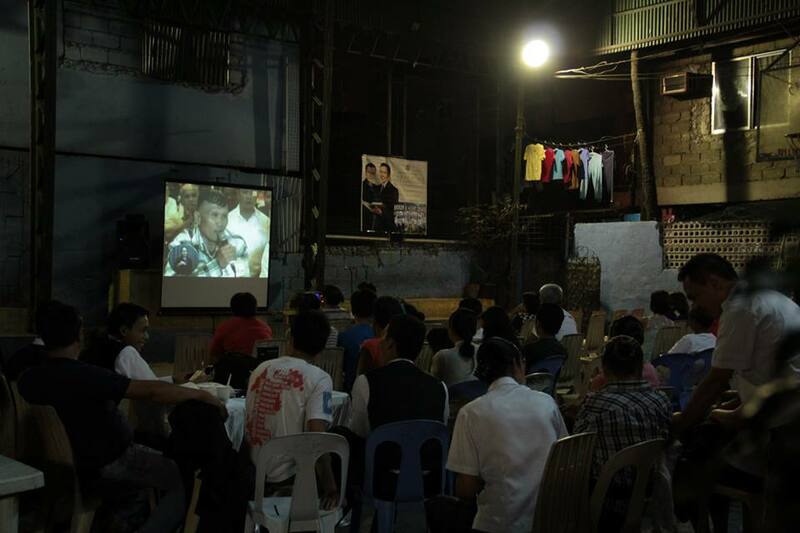 The remote point was connected via satellite through the Ang Dating Daan Mobile Coordinating Center. 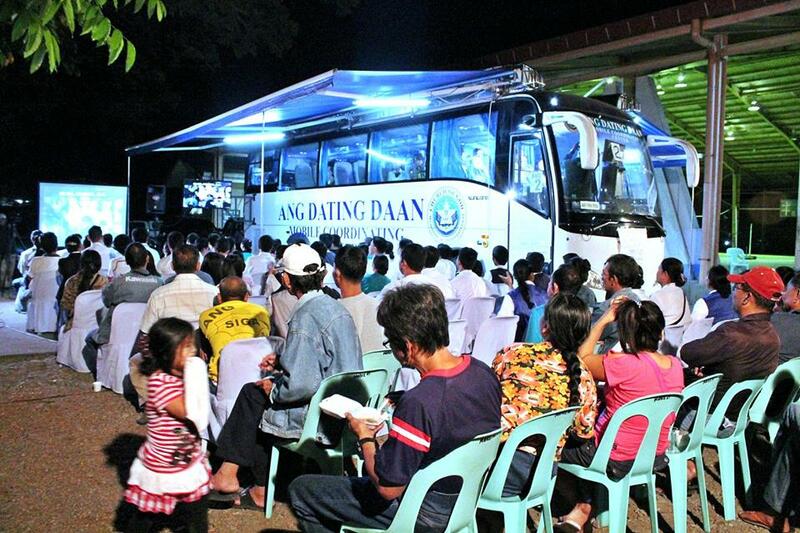 The Ang Dating Daan Mobile Coordinating Center (pictured above) is being set up by its organizers for the upcoming debate to be held later on in the evening. Parked along the Freedom Park and near the Main Entrance Gate, onlookers and passersby couldn’t help but stop, stare and listen at the sight and sound of the debate. The visitors varied from students coming from various colleges as well as university professors and staff alike. Throughout the debate, Bro. Eli continuously showed his expertise in debating. “Bro. Eli presented his arguments clearly. Based on what I’ve heard, I would side with Bro. Eli. I was more enlightened with his explanations and I am much more convinced that God is the true founder and owner of the Church,” says Ralph Lobrigas, a Business Administrations student of Amang Rodriguez Institute of Science and Techonology. Mr. Eusebio, on the other hand, earned some rants about his manner of debating. “I think Mr. Eusebio needs to learn more about what he is saying. I think he also needs to learn more about the process of debating, [especially] in a technical perspective,” says Irving Penano, a Third Year, Broadcast Communications Student of PUP. 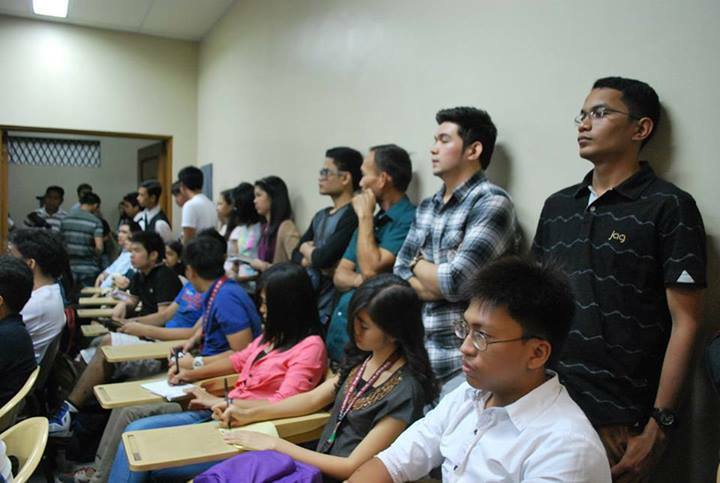 All in all, the ADD Debate held in PUP co-organized by Bread Society International – PUP Chapter, was a success with God’s help, with its attendees tallying up to more than a hundred. 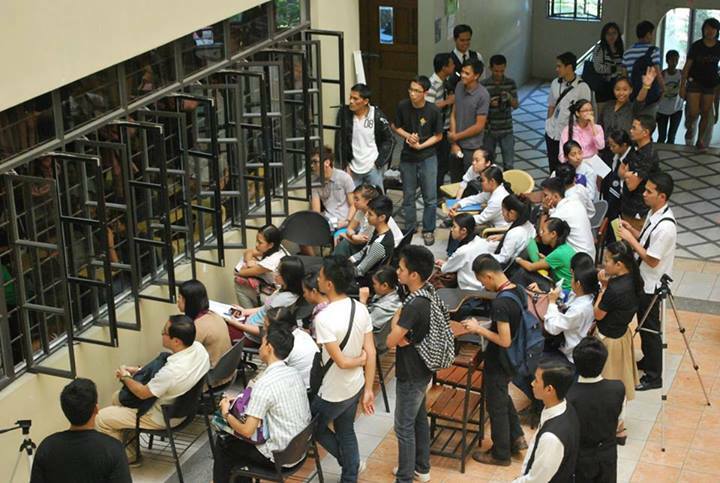 God-willing, the Ang Dating Daan will host its Bible Exposition at another PH university. The University of the Philippines Diliman will be one of the remote points for the Bible Expositon to be held in March. For more information about the upcoming Bible Exposition, visit the official Facebook page of Ang Dating Daan. 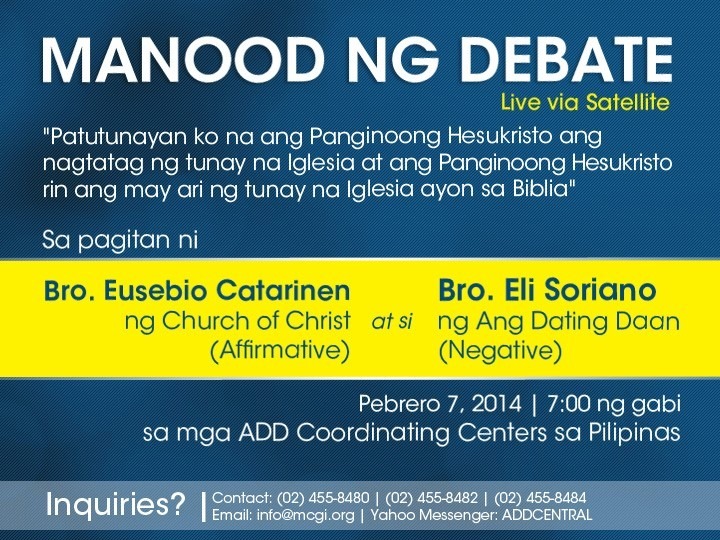 The monthly Ang Dating Daan Bible Exposition held by the Members Church of God International (MCGI) will host a debate on Friday, February 7, 2014. Bro. Eli, presiding minister to MCGI will sponsor the technology and the venues for the live debate. Video conferencing technology will make possible the debate between Bro. Eliseo F. Soriano of the Ang Dating Daan from South America and Bro. Eusebio Catarinen of the Church of Christ from Negros Province. The discussion will revolve around Christ being the true founder and owner of the Church, wherein MCGI will be on the negative, while the opposition, the Church of Christ of Mr. Eusebio Catarinen, will be for the affirmative. The regularly held Bible Exposition is usually composed with a question-and-answer type of format, where visitors from different remote points ask Bro. Eli any queries about faith or the Bible and receive their answers live. Aside from coordinating centers and local chapters that cater to brethren and visitors alike, Bro. Eli and Bro. Daniel have also launched mobile coordinating centers on wheels to reach far-flung places. The Bible Exposition is also being hosted in baranggays and communities across the Philippines. Baranggays and other large residential areas may also serve as venue points for Bible Expositions. This time around, the Ang Dating Daan Bible Exposition will host a debate in its stead, and will temporarily deviate from its usual set-up. The upcoming event will be accompanied by minute-by-minute updates tweeted by the official Twitter account of The Old Path and Ang Dating Daan, as well as its attendees. Those wishing to join the live mass tweeting may use the official hashtag of the event, #ADDBibleExpo.